So you want to sell your home yourself? You have decided to sell your home. The next question is: who is going to do the work? You ponder about choosing a real estate agent. You ponder about doing it yourself. Then you ponder again and again. Finally, you decide to do it yourself. After all, you will save money by doing it this way. Before you begin, however, take some time to review the following list of items you will need to complete to ensure the successful sale of your home. Be sure you are fully equipped to handle each of these areas before selling your home. Deciding to sell. You will need to conduct your own research regarding the current housing market, moving costs, your tax situation and your home equity. Preparing to sell. You may want to get a pre-sale inspection, to determine if any repairs should be made as well as an appraisal to assess the value of your property. Set the price. The challenge of setting the right price is a balance between your desire to get the best price for your home without deterring or missing qualified buyers. You will need to consider such items as recent sales for comparable homes in your neighbourhood, location, current market conditions, season, amenities, repairs, and extras like deck, pool, garage, etc. Prepare your home. You will want to present your home in the best possible light. Make needed repairs, remove the clutter, and make your home warm and inviting. Negotiate the deal. After reviewing all the factors associated with the price, you will want to determine in advance the lowest price you are willing or able to accept. Advertise your home. You will want to place and pay for advertising in newspapers, Internet and other places. Then you will field asked questions, handle open house and show your home to potential buyers. Close the sale. Other factors contribute to a successful closing including unsatisfactory home inspection, an appraisal that is to low to qualify for a mortgage, title problems and even a buyer with cold feet. You will need to process all the paperwork, usually, with the assistance of a lawyer. Do you have the necessary knowledge, patience and sales skills? Can you negotiate a successful outcome when an aggressive buyer presents a less-favorable offer? Can you accurately access the current market value of your home, from your research sources? Do you know about the marketplace conditions that affect the value of your home? Can you determine whether a buyer qualifies for a mortgage? Do you understand real estate regulations and can prepare a binding sales agreement? What about counter-offers? Will you give up your evenings and weekends to show your home to prospective buyers, many who may be "tire-kickers" or bargain hunters? Do you know the best places to advertise? What about the costs? Did you know that prospective buyers and bargain hunters might want a price reduction because there is no Real Estate Professional involved? Do you understand the various types of mortgage financing available and the effect they may have on you, the seller? Can you bring an objective opinion to the sale of your home, seeing it from a buyer's prospective? Can you put your emotional attachments to your home aside and realize that selling your home is also a business transaction? Can you handle the numerous details involved in the sale? Do you have the necessary forms and legal documents used in the selling of real estate? Is selling my home myself the right thing to do? Will I get the right price? Should I remodel the house before selling? 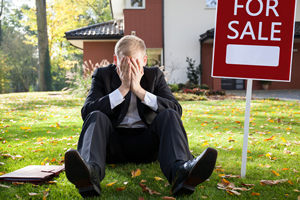 What if my home does not sell? Relying on inappropriate advertising and marketing that does not generate buyers. Incorrect understanding of how the home buying and home selling processes work. Access to the most current market conditions and stats. Placement and payment of effective advertising in the right places and for the best results. Correct pricing of your home, to give you the highest profit. Showing of your home in the most professional, effective and favorable manner. Screening of potential buyers and elimination of bargain shoppers. Availability. Most Real Estate Professionals are always on call, answering the phone at all hour, and being available at all times to show your home. Objective representation for offers and counter-offers. A professional team that listens to your needs, respects your opinions and allows you to make decisions. A professional team that understands the real estate industry, from both the buyer and seller perspective. A professional team that protects your rights. Full-time staff that handle the numerous details involved in the sale of your home. Resources to complete your transaction, from lawyers, inspectors, renovators, engineers to mortgage and insurance brokers. Access to a network of real estate marketing resources to place your home before the most qualified buyers. A professional team that adheres to a professional code of conduct, established by local and national real estate associations. Expert advise on making improvements that will increase the profit you will receive on your home.